The CALICE collaboration with more than 340 physicists/engineers from 53 institutes and 17 countries works on 4 continents (Africa, America, Asia and Europe) on different designs for the electromagnetic and hadronic parts of a possible ILC calorimeter. 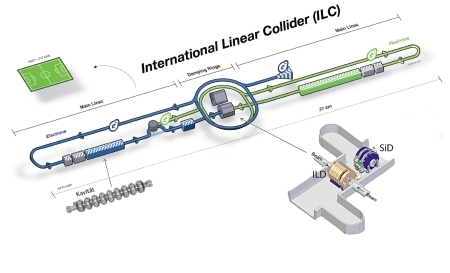 The idea behind the ILC project is to create a new e+e- - linear collider in order to achieve a center-of-mass energy of 500GeV in a linear accelerator structure with a length of 31km. 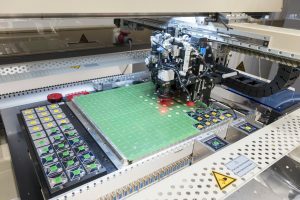 With the help of two interchangeable detectors: International Linear Detector (ILD) und Silicon Detector (SiD) and the very high granularity of the calorimeters, it will be possible to measure new physics and known particles with unprecedented accuracy at this time.